» the ice cream bears! Along with BABV's new tropical theme, go visit Sunshine Shores Cave for a Luau party! Just click the clock! After saying yes, and partying, you receive a special traditional lei, and a Surf Move! Country : United Kingdom I ♥ living there! Jump to: Select a forum||--Introduce Yourself Here|--Welcome new bears!|--Extras on BABV Planet!| |--BABV Planet Rules| |--Forum Help| |--Member Of The Month!|--Beginners on BABV|--News|--Help!|--FYI's|--Newbies!|--BABV Planet Contests|--BABV Planet Updates|--Gossip|--Job Applications|--Worldwide News|--Theater|--Music|--Creativity| |--Beary Creative!| | |--Request for Anyone| | | |--Requests Here| | | | | |--Lilia's Awesome Shop!| | | |--Requests| | | |--Take your Pic Away =)| | | | | |--Invader Joy's Graphic Shope'!| | | |--Requests| | | |--Take It Away Station| | | | | |--Alyssa's Awesome Art!| | | |--Requests| | | |--Take Away Station| | | | | |--Mariana's Marvelous Shop!| | | |--Requests| | | |--Take it Away Station| | | | | |--Chelsea's Wonderful Shop| | | |--Requests| | | |--Take it Away Station| | | | | |--Jekka's Awesome Shop| | | |--Requests| | | |--Take it Away Station| | | | | |--Tommie's Spunky Graphic Basement| | | |--Request's| | | |--Take away :)| | | | | |--Jenni's Graphic Studio| | |--Request| | |--Take it away| | | |--Writer's Corner| | |--Jokes/Riddles| | |--Poem World| | |--Story Place| | |--Songs| | | |--Art Display| |--Founds pics| |--Homemade Pics| |--Made By Someone| |--Birthdays!|--Games!|--Parties!|--Farewells|--Sports|--Tweet Tweet!|--Real Celebs!|--Music Suggestions|--Special Guests!|--Role Play World|--Song Lyrics by Artists|--School Related Stuff!|--Nature and Animals|--All About Me!|--Questions|--Polls|--Codes|--Quests!|--Furry Friends and their PSI's!|--Home Sweet Home|--Emoticon Valley|--Friends and Fun!! 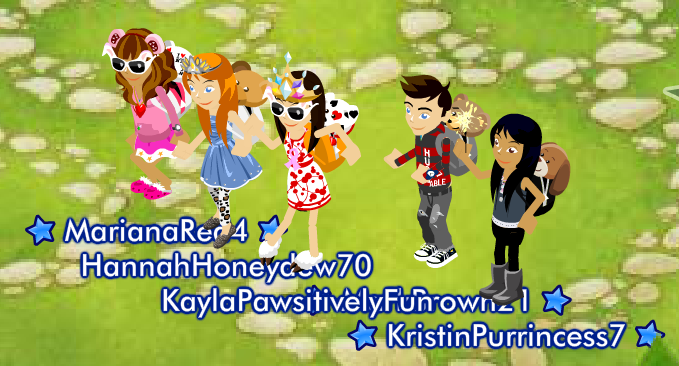 !|--Join The Club|--Walks Fur Cures|--Camping Zone|--Fashion Mall|--Furniture House|--Advice Column|--Chatty Place|--Random Talk!|--Bugs and Glitches!|--Comments/Suggestions|--Support BABV Planet|--Links to your Website!